Improve clinician and patient access to the modern, innovative and reliable medical device technologies through organizing Meeting, Seminars, Symposia, Exhibitions and Demonstrations and also, to promote global harmonization of Indian device industry. AI-MED ensures the convergence at a common platform, when needed, for ensuring over all growth of the Indian Medical Devices Industry and further address the needs of all members of the Medical Device Industry irrespective of their affiliation or their company size. It will also help in wider dissemination of information with each player of the industry. AI-MED is horizontally divided into the main common groupings like - Legal Issues, Tax Issues, Export Related Issues, Medical Device Regulatory Issues common to all vertical groups of different families of product lines with Zonal Representations. The medical device industry is expected to continue growing with the aging population, increased life expectancy and expanding markets in developing countries. Even in the economic downturn, the medical device manufacturing industry which has been maintaining margins by taking measures to become as cost effective as possible. Many medical devices in-corporate polymers, which are either key components or as coating to improve the biocompatibility of other materials. Polymers are relatively easy and economical to manufacture, and for the healthcare industry they also withstand end sterilization procedures. Many devices require different properties such as stability of a stent combined with slow drug release to combat infections. Antimicrobials can also be added to the most of the plastics to limit bacterial growth. All components of a device can pass extensive testing to minimize risk to the patients. As per the recent "India Medical Technology Report" by Price Water Coopers, Medical technology (Medtech) companies are accelerating their investments in emerging markets, and India is a prime target because of its large population, growing middle class, and improving healthcare infrastructure. Annual growth exceeding 15%, India ranks in the top three emerging nations for direct investment by large, multinational Medtech companies with the following as the Key drivers for the growth. The industry is continually improving the quality of life with new devices. 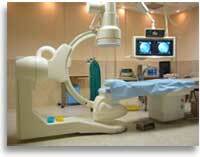 Innovations in medical procedures are mostly giving rise to new medical devices with high level performance. This coupled with expanding markets places heavy demands on medical devices. The medical technology industry in India also needs to be very much innovative in order to address the challenge of low penetration and meet the healthcare needs of all income segments.